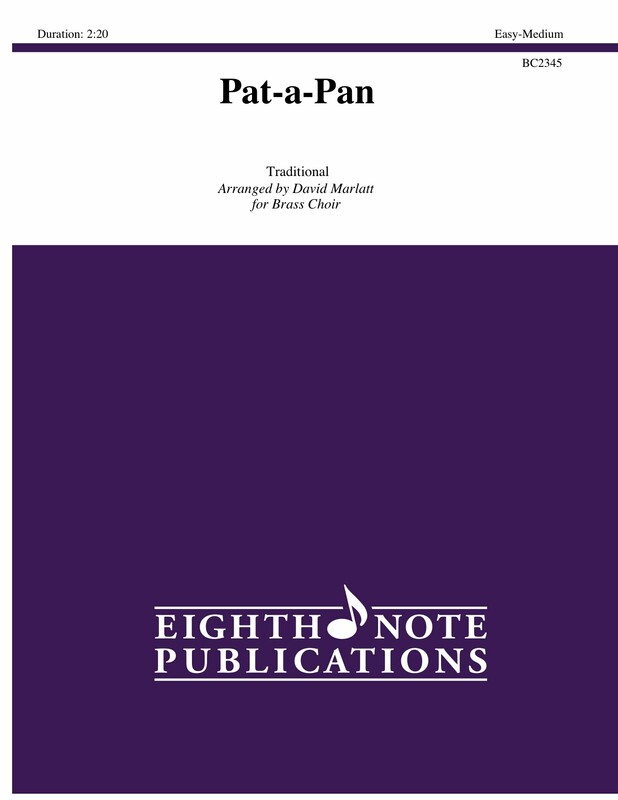 Pat-a-Pan is a very rustic Christmas piece that is set in a round beginning with the first trumpet and pyramiding down to the baritone. The percussive "drone" parts add a distinct colour to this piece and this sort of writing works well with combinations of brass instruments. Even the tubas gets to shine with an unaccompanied duet pass through the melody. It has been set for a brass ensemble of 4 trumpets, 2 horns, 3 trombones, euphonium, 2 tubas and percussion.